Before Beatrix Potter became the author of children’s books such as The Tale of Peter Rabbit (1902), she was a gifted natural historian and scientist. So it’s not a surprise that Ms. Potter’s illustrations closely resemble the animals on which her characters are based or that she writes unsentimental stories that display a strong understanding of human (rather than animal) psychology. 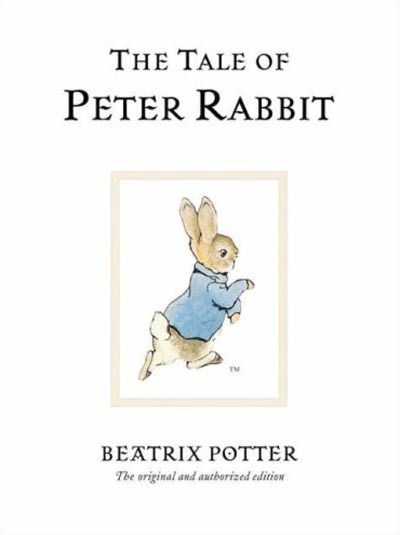 This is certainly the case with Beatrix Potter’s most famous character, Peter Rabbit, whose trauma in Mr. McGregor’s garden is so realistically portrayed that cheeky amateurs with access to the Diagnostic and Statistical Manual of Mental Disorders (DSM IV) could diagnose him with Acute Stress Disorder if they liked. This does not deter Peter, who runs straight to the garden and encounters Mr. McGregor. In the subsequent chase, Peter loses his shoes and coat and catches cold while hiding in a watering can. Peter escapes and his mother puts him to bed with a dose of camomile tea. We see the symptoms of Acute Stress Disorder in The Tale of Benjamin Bunny, which picks up Peter’s story the next day. Benjamin leads his cousin away toward the McGregor’s garden without either agreement or resistance from Peter. From this description, we can find in Peter (1) an absence of emotional responsiveness and a reduction in awareness of surroundings and (2) anhedonia or lack of interest in activities that used to bring enjoyment, both of which are characteristic of Acute Stress Disorder. Once in the garden, Peter Rabbit displays three more important symptoms: (3) poor concentration, (4) marked symptoms of anxiety, and (5) increased arousal, hypervigilence, and an exaggerated startle response. There are three instances of poor concentration in the tale. First, Peter falls “down head first” from the pear tree he and Benjamin are using to enter the garden. Peter and Benjamin pick onions as a present for Peter’s mother, but Peter drops half the onions at one point in the tale and drops the others a little later. It is in this emotional state that Peter and Benjamin are trapped under a basket by one of the McGregor’s cats for five hours. Ms. Potter writes it was “quite dark” and the “smell of onions was fearful” under the basket. Both Peter Rabbit and Benjamin Bunny cry. 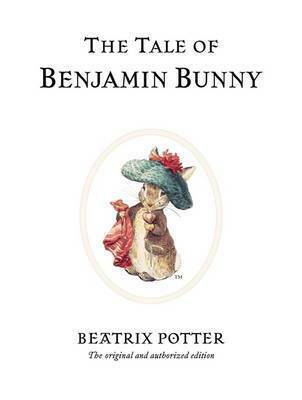 The little rabbits are saved by Benjamin’s father, old Mr. Benjamin Bunny, who cuffs and kicks the cat into the greenhouse, then whips both Benjamin and Peter with a switch. Peter returns home, where his mother forgives him because she “was so glad to see he had found his shoes and coat” and all seems to end well. The last drawing in the story shows Peter folding up the pocket-handkerchief with the help of one of his sisters. But Peter’s trauma isn’t resolved as much as it is ignored, and the ambiguity of this resolution hangs over the end of the story. I suspect that the effects of Peter’s untreated trauma will linger for years, making it hard for Peter to find stable employment as an adult and perhaps leading to the self-medicating abuse of rabbit tobacco. Peter Rabbit isn’t the only psychologically realistic character who experiences trauma in Beatrix Potter’s stories. Mr. Jeremy Fisher is nearly eaten by a trout and resolves never to go fishing again. Jemima Puddle-Duck’s eggs are saved from a fox by the collie dog Kep, only to be gobbled up by puppies before Kep can stop them. Even Mrs. Tittlemouse, who is threatened by no more than a series of unwanted visitors in her sandy house, lives under the constraints imposed by her obsession with cleanliness and order.